Below you can view all the homes for sale in the East Spring Lake subdivision located in Roswell Georgia. 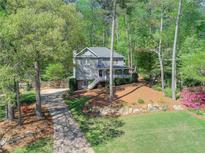 Listings in East Spring Lake are updated daily from data we receive from the Atlanta multiple listing service. To learn more about any of these homes or to receive custom notifications when a new property is listed for sale in East Spring Lake, give us a call at 404-998-4102. Top Rated Schools! Roswell Address/Cobb Taxes! MLS#6538138. Re/Max Paramount Properties. Charming Dwntn Roswell Is Minutes Away. All Schools Of Excellence. MLS#6537261. Harry Norman Realtors. Coveted S/T Neighborhood W/A+ Schools/Location. Roswell Address/Cobb Taxes. Hurry! MLS#6532361. Coldwell Banker Residential Brokerage. Popular S/T Neighborhood W/A+Schools+Location. Roswell Address/Cobb Co Taxes! Hurry! MLS#6525326. Coldwell Banker Residential Brokerage. Pergola Column Patio Area.Hardwood Floors On Main Level//Landing Area/Master Bedroom. MLS#6516960. Keller Williams Rlty, First Atlanta. Stainless Steel Indoor Exercise Pool With Spa & Gym Attached; Stainless Steel Cabinets In Keeping Room Kitchen; Teak Floors & Huge Granite Slabs In Baths; High End Dble Pane Windows & "Velux" Skylights, Smooth Ceilings, Steam Shower; Custom Cabinetry In Master Bath + "Toto" Tub W/Continuous Heater & Bubbles, Seperate Shower, Full House Generator + More! MLS#6509536. Berkshire Hathaway Homeservices Georgia Properties.